The value of the last statement in function's code is returned. 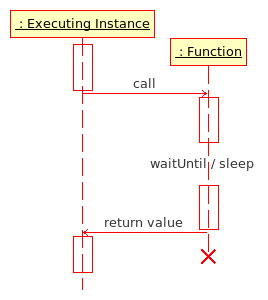 The value of the last statement provided in a function is returned to the calling instance. In order for a return value to work correctly, there '''must not be a trailing semicolon''' after the statement. The '''last [[expression]] given''' in a function is returned to the calling instance. Note that there ''must not'' be a semicolon after this value.